Panic on the streets of San Diego - San Diego Dining Dish! I’m not so big on staying out late on a Sunday night – I usually like to use my Sunday evenings to prep for the week ahead. But that’s no fun, particularly when a band that I really like is in town, and playing a couple of miles from my house! 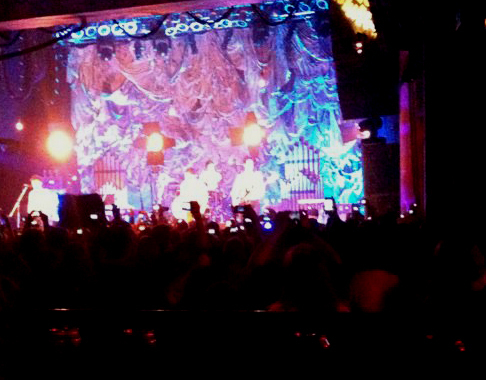 So on Monday, I bought the tickets, and off we went last night to the House of Blues. 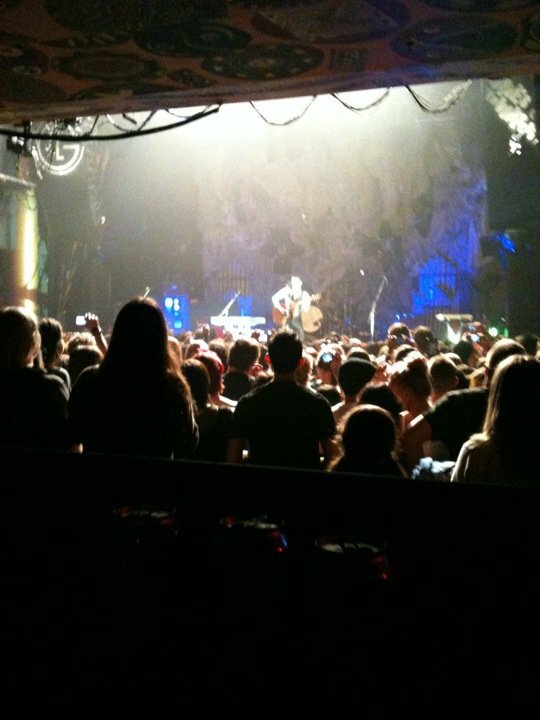 If you’ve never been to a show at the House of Blues, I highly recommend it. The space is very small, standing only, and really, no seat is a bad seat. We had a prime view of the stage from the upper bar area. I attempted some pictures, but with the light show and dark of the rest of the room, they came out pretty ick. Oh well. Lots of people spent the entire show filming or taking pictures, and that’s cool, but I prefer to just sit back and enjoy the experience. Panic at the Disco put on a great show, with plenty of lighting and theatrics. And I was pleasantly surprised to see that my husband and I were not, in fact, the oldest people there! Mainly because it was parents that had brought their teenage kids! :oP. It got me thinking, that when/if I have kids, will I take them to concerts? I really, really hope that I do. I don't think it's unusual for parents to take kids to concerts. My dad and I have seen Tori Amos and B.B. King, and my mom and I have seen the Moody Blues. I have friends who took their kids to Motley Crue concerts. Concerts seem to be one of those domains where everyone is cool, no matter what your age. I guess that it was because of my conservative upbringing, but I can't imagine going to a concert with my parents.